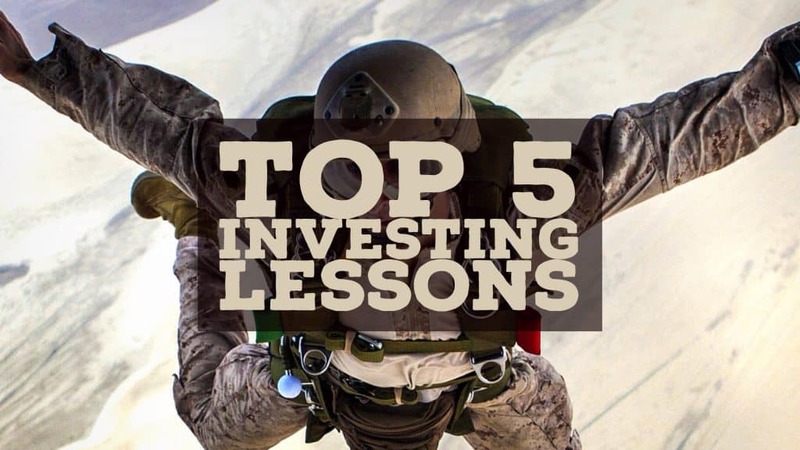 Home › Investing › What Are The Top 5 Investing Lessons? What Are The Top 5 Investing Lessons? Whether you are a baby boomer set to retire or just starting out in the investing world, you need to know some time-tested principles for successful investing. The investing lessons below are golden nuggets intended to help you sidestep market pitfalls and live a better retirement. We all love stories. Good vs evil. Superhero vs villain. Good cop vs bad cop. And when we invest in the stock market, who doesn’t love a good narrative too? When you turn on the TV and switch to a financial news network you will undoubtedly hear analysts discussing the pros and cons of the latest hot stocks to buy. It is easy to buy into the hype. In 1999-2000, buying technology stocks was supposedly the “smart” thing to to. Until the technology bubble burst and the stock market was the easiest place to lose a fortune in a hurry. In 2006-2007, the place to be was anything related to real estate. A boom had caused prices of properties in the U.S. to soar, and everything from commercial real estate stocks to REITs to bank stocks were flying high. But when 2008-2009 came along, the wind had come out of the sails of most of these hyped up stocks, and fortunes amassed during the boom times were lost even faster. When you’re on the crest of a wave, it is hard to know where the peak is. 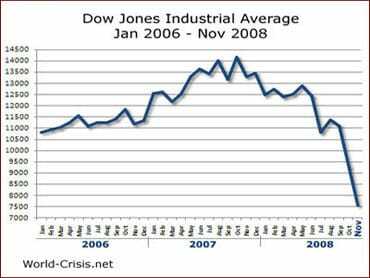 And when markets crash, it is hard to know when the bottom has been reached. Timing the markets well is difficult because of information asymmetry. It is a fact of investing that some investors will always know more than others. Analysts at billion dollar funds may speak to dozens of domain experts before placing a bet on a technology stock, such as Facebook or Twitter. They research intensely because when times get tough, they know where the floor is in the share price, and when it offers compelling upside potential as a value stock. As a casual investor, you probably don’t have the resources to compete with research analysts at big hedge funds, and may lack the technology expertise to take on the quantitative high frequency robots transacting every few microseconds. So, a better wager is to forego timing the market and look instead to consistently investing in low-fee index funds that match benchmarks, such as the S&P 500. If you are a trader, one of the biggest risks is churning your trading account. This occurs when you place so many trades that commissions costs eat up much of your profits. These days, you can trade inexpensively on many trading and brokerage platforms, such as thinkorswim and TastyWorks, but small commissions costs multiplied by a large number of transactions can still add up to a pretty penny when all is said and done. As an investor, you may be overpaying in a number of areas. The most obvious fee to pay attention to is what you pay to your financial advisor. Management fees can often be well over 1%, which may not sound like much, but it adds up over time. When you combine a high management fee with the fees charged by mutual funds, you can end up paying total charges of closer to 2% annually. While it’s easy to dismiss a 2% annual cost as insignificant, especially if you are making 7-8% or more annually on average, the power of compounding tells a different story. It turns out that high expense ratios combined with high management fees can massively impact your portfolio wealth over time – a lot more than you might think. For example, an investor with $100,000 paying 0.5% in total fees annually will grow their portfolio to approximately $866,000 over a 30 year period assuming 8% average annual growth. But an investor with the same $100,000 paying 2% in annual fees on a portfolio growing at the same rate over the same time period will see their portfolio grow to just $550,000. The seemingly small differential of just 1.5% in additional costs annually ends up costing the second investor over $300,000 in net worth over a 30 year time period compared to the investor paying much lower fees. Funds that are famous for having low fees are Vanguard funds. You can pick them yourselves, or if you find it easier you can look to a robo advisor to do it for you. Leading robo advisors, such as Betterment, leverage technology to manage your portfolio automatically in a way that aligns with your risk profile and financial goals. Investment team members at large investment funds holding concentrated portfolios of stocks often vigorously debate the merits of each stock before pulling the trigger and buying. If you had to invest $10 billion in 30 stocks, which stocks would you choose? At the very least, you would be careful about doing your homework before taking the plunge. To research a company, you would want to know its financials and perform quantitative research. What are the returns on invested capital? What are the price-earnings ratios? Are earnings growing or declining? How much debt does the company service? How much cash does the company have on its balance sheet? Does management make decisions aligned with shareholders? Is the market for the company’s product or service growing? Is the company gaining market share within its market? If you cannot answer these questions, it’s time to roll up your sleeves and do some homework. After all, you worked hard for your money so now that you want it to work for you, make sure it is allocated to the most efficient money-making vehicles that align with your risk tolerance. The process of selecting stocks is time-consuming however. So, an easier path if you are not inclined to perform due diligence on stocks is to build a balanced portfolio of diversified stocks and diversified bonds. Index funds allow you to invest in stocks that align with your financial goals and risk tolerance. You can choose clean energy index funds, sustainable energy index funds, technology funds, or broader funds that track benchmarks, such as the Dow Jones Industrial Average, NASDAQ, or S&P 500. The father of Efficient Market Theory, Eugene Fama, recognized that no individual will have more knowledge than the market as a whole. So, choosing low-fee, risk-adjusted index funds is a smart choice for most investors. What he means is when everybody else is selling in a panic, it may be time to buy. And when everybody is buying hand over fist, it may be time to sell. But this advice is much easier said than done. We humans have cognitive biases that affect our decision-making so that rational choices become more difficult. The endowment effect, for example, makes us value something we own more than something we don’t. So, when you own a stock, you may think it is worth more than it is – simply because you own it! Any trader who has placed a wager on the market rising or falling by shorting stock or buying put options, will know the inner tug when a stock falls below its purchase price – should you cut your losses or hang tight in the hopes the share price will return to breakeven and more? Giving in to fear when stocks fall or giving in to greed when stocks rise is so common that many stock market bubbles and stock market crashes have resulted from investors becoming overly emotional at market extremes. They make buy or sell decisions based on sentiment more so than reason. To sidestep the risks of emotional investing, look to a smart retirement planning strategy. By investing in a way that is aligned with your risk profile, you will be less likely to panic on the way down or buy hand over fist on the way up just when the market may be about to peak. For most people, slow and steady consistent investing in an index fund that tracks the market is a better bet for the long-term. >> Related: What Are The Best Brokers For Free Stock Trading? The old saying is that there is no free lunch in the stock market, but retirement accounts are as close as you can get to one. If you max out your 401(k) plan, you can put $18,000 a year into a retirement account that grows tax-free until you take withdrawals. If you are above the age of 50, you can invest up to $24,000 annually. So, if you earn $100,000 annually and allocate the maximum amount of $18,000 to your 401(k), just $82,000 is taxable; it’s a great way to lower your tax bill. Retirement accounts, such as 401(k)s, IRAs, and Roth IRAs, are a great way to grow your wealth over time. Not only do you enjoy tax-free growth of earnings, but you reduce the taxes you pay to the government short-term. What investing lessons have you learned to build wealth in the stock market? Share your stories with us below, we would love to hear from you. >> How Does A Fed Rate Hike Affect You? >> Who Are The Best Online Stock Brokers For New Traders? ‹ How Did Warren Buffett Get So Rich?